Forte cufflinks show strength and structure. 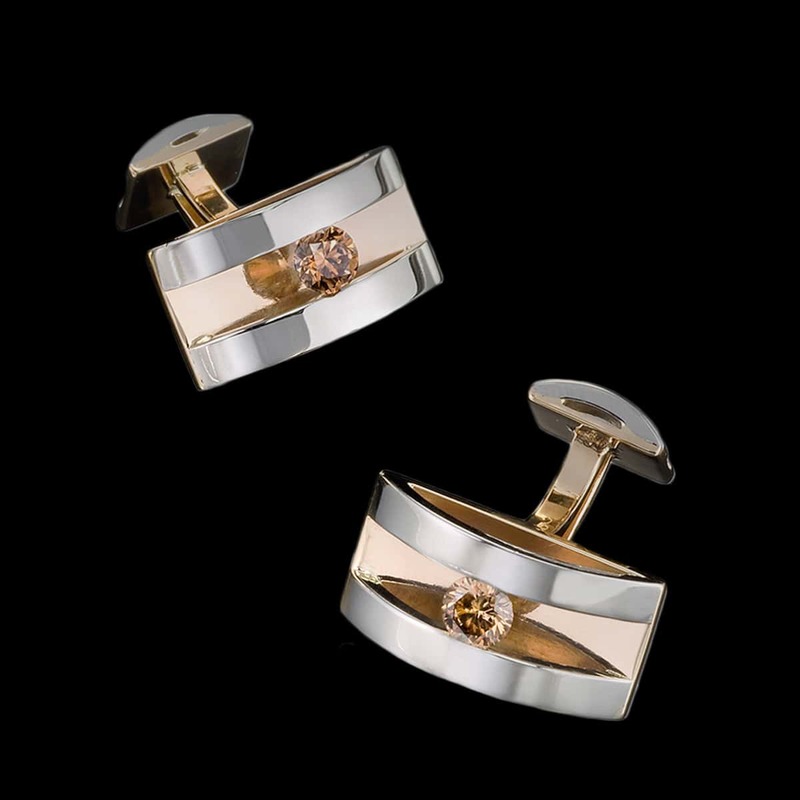 These striking cufflinks feature champagne diamonds set in two tones of 14 karat gold. To purchase, call (949) 715-0953 or use our contact form below.